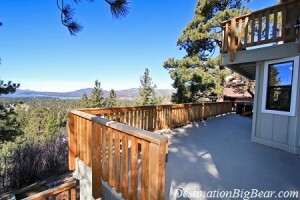 Big Bear cabin rental location is one of the first things to think about. Just as with any rental, you have to watch the pennies and the dollars add up. Even in Big Bear. When buying any property. What is the #1 factor to consider? Everyone always says “Location, Location, Location”. That is true, but what do they really mean? A location that is poised to see dramatic increases in the average cost per square footage? A location that always holds is value? A location that has an incredible ROI? A location that has a great school system? When people say Location, Location, Location it is true, but there needs to be context. Let’s begin by determining that an investor is looking to buy a mountain home and has determined to purchase a Big Bear Cabin over Mammoth, Tahoe or even Lake Arrowhead. So, now we can say Location, Location, Location in Big Bear. It does matter where you purchase a home in Big Bear Lake, Big Bear City, Sugarloaf, Erwin Lake, or Baldwin Lake. If you are looking to purchase a Big Bear Cabin and want to put the home on a Big Bear Cabin Rental program, whatever you do, talk to a Big Big Vacation Rental Specialist first. DO NOT BUY A HOME before talking to us. Destination Big Bear will participate in pre-sales reviews of homes, we will visit the home, and will give you a conservative estimate of what the home will net after all fees. Basics: Stay away from Sugarloaf, Baldwin Lake and Erwin Lake if vacation rental income is a priority for you. Fawnskin and the Whispering Springs area are tricky, some homes may be great and others not so much. So, we have narrowed it down to Big Bear Lake and Big Bear City. Most people believe that Moonridge is the best area for a rental. In most cases they are right and it takes a great deal of the decision away; however, Summit Estates, which is closer to the lake, can do incredible numbers especially those close to the Big Bear Swim Beach. Big Bear Rental Income can be broken down into seasons: Winter (60% to 80%), Summer (20% to 30%), Fall (5% to 10%) and Spring (5% to 10%). Expect Spring and Fall to be terrible for income but perfect timing to come up and use your home. If your home is pretty high up in Moonridge with incredible views then you can expect 80% of your revenue to be generated in the winter months. If your home is walking distance to the lake and close to Summit you obviously will do some great summer rentals, thereby making your winter revenue attribute 60% of your gross. Next story Best Cabin to buy in Big Bear?